Locality: United States, Colorado, Archuleta, 8 mi. S of Pagosa Springs, on Hy. #84. Habitat: Banks of wet gully. 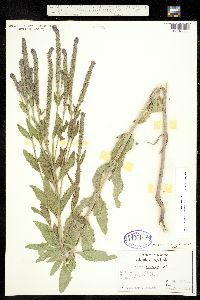 Notes: Verbena stricta Ventenat, det. by R.B., 1998. / Verbena macdougalii, det. by W.A. Weber, 1998. 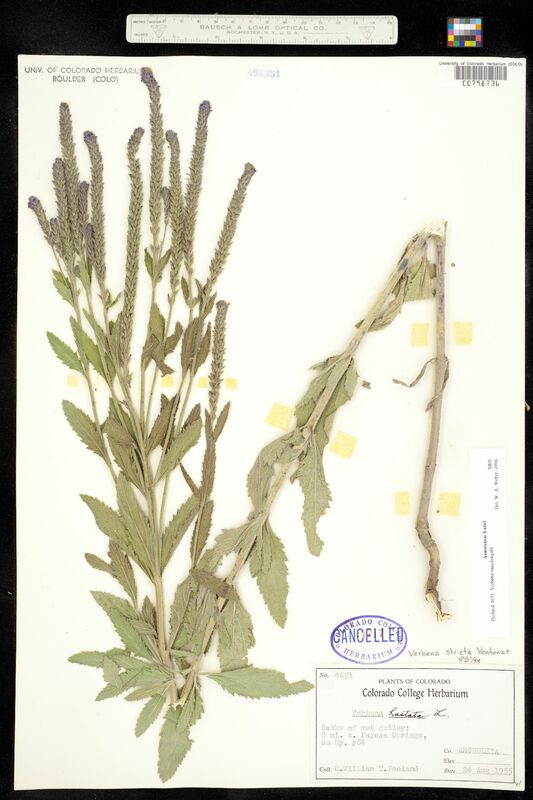 Original ID: Verbena hastata L.